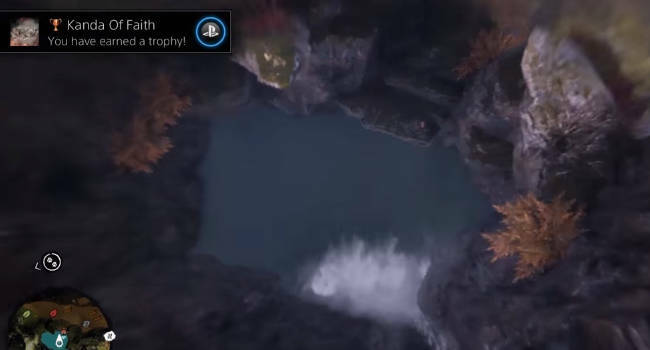 One of the daredevil achievements in Far Cry Primal; Kanda of Faith asks players to take a high altitude dive from the top of a cliff edge and splash into the small pool below. It's an intense jump with only the narrowest of margins to avoid death. In this guide I'll show you the exact location of Pardaku Lookout Peak and help you attain the Kanda of Faith Achievement for yourselves. 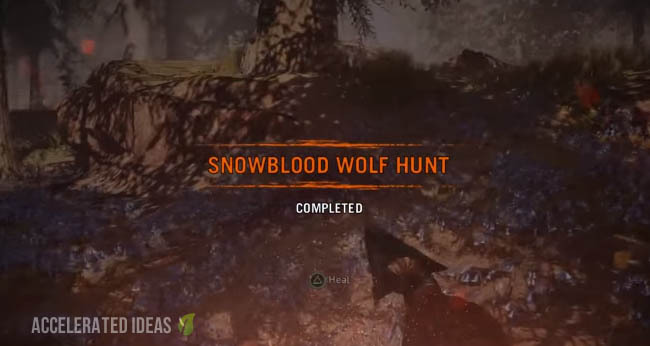 The exact location of the peak is hidden roughly North East of the center of the map, a place that you won't explore straight away in the game. I'd guess that you're looking at about 3-4 hours of normal game time to open up enough of the map. 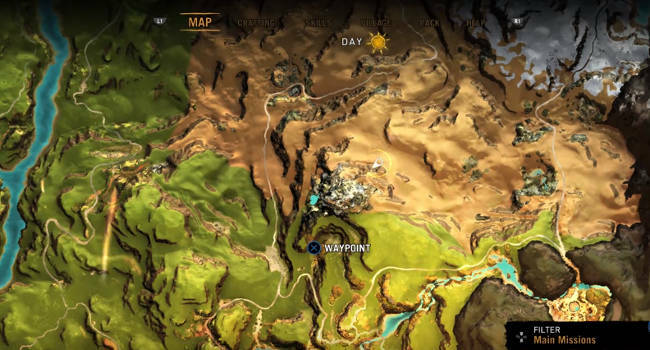 Head to the location shown in the image above, taking note of the blue water area shown on the mini map. This water is where you're going to dive into. Now gradually climb your way up the side of the cliff edge using a variety of small climbs, and the vines to reach higher altitudes. 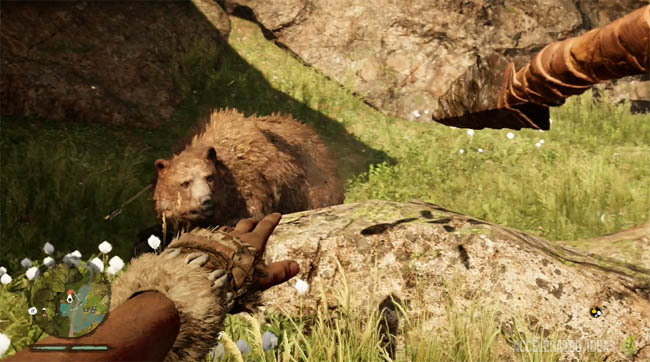 There are a series of scalable sections that you need to ascent to make it to the top of the cliff. Watch out for the snakes in the undergrowth and use hunter vision or increase the game volume to help you detect them. Once you've reached the top, look for the very narrow ledge - much like a plank from a pirate ship. It really is that thin. Now carefully walk to the end of the plank, admire the amazing view and check down below for the water pool. Now leap off the side and dive down, directly into the pool to avoid death. Fingers crossed you'll see the Trophy/Achievement notification before you actually hit the water anyway.